I love today's project, it is both practical and pretty - win win win. You may have noticed that the new DSP stacks from Stampin' Up no longer come with the pages stuck together. Great - no longer do you have to worry about ripping one when you tear it off but storage is a little harder. Step in this gorgeous magazine style storage box. I have decorated the box using Tranquil Tulips - this set is causing quite a stir and I can absolutely see why - it is so pretty! 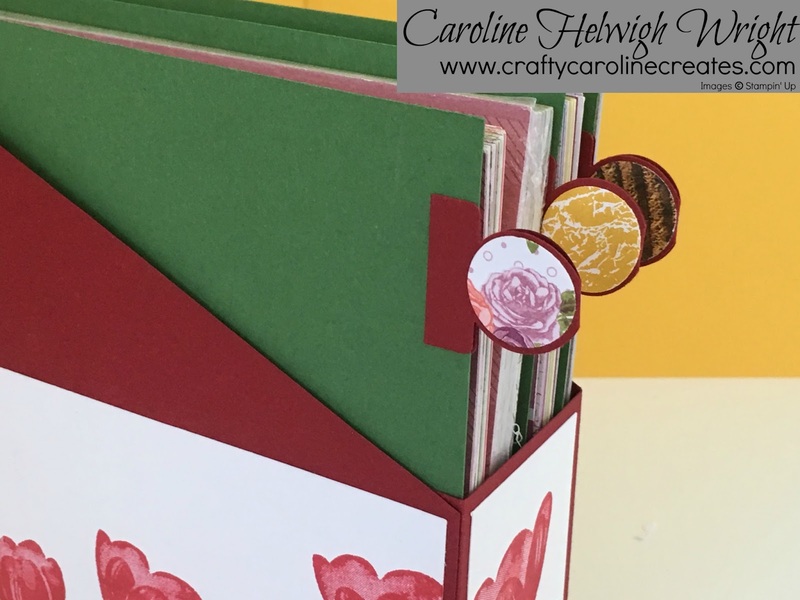 This is a hostess set - which ordinarily means that you have to spend £150 or host a workshop with sales over £150 in order to get your hands on it. A lot of you have been in touch to ask if there was an easier way to get your hands on it - or if I might consider making it one of my thank you gifts. Well - you asked and I listened - shop with me in July and this stamp set will be winging its way to you along with another little something in early August as a Thank you gift from me. There is no catch, it isn't a competition, everybody that shops with me in July will recieve a set! I normally keep exactly what I am going to send as a Thank You gift a secret but as so many of you asked for this set, I didn't want anybody to miss out. Back to the box - well it is a really good size, mine is holding 4 pretty full DSP stacks right now but there is probably room for at least another one, if not two more. I have made some very cute little dividers to help me keep each stack separated. It also gave me the perfect excuse to try out the new tab punch - doesn't it make them look so professional. To see just how to make this gorgeous box, click HERE for my video tutorial. Notch at 5½ inches as shown in video. Dividers - 6-1/4 by 6-1/4 inches. Hi, please can you tell me where I. An find measurements? Hi Pam - I had forgotton to add them on, I have just updated it now and they are at the bottom of the page. 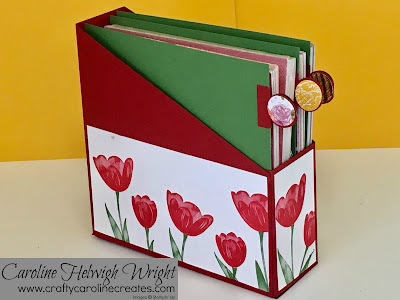 Just watched your video and it is a very handy storage box, thank you for sharing how to make it....I will be making one for sure. Thanks - it is very useful and I am hope you like yours. Hi JoAnn, I have just added the measurements to the bottom of the blog post - sorry it has taken me a little while to get back to you. Hi Ann - apologies again, they are on there now.